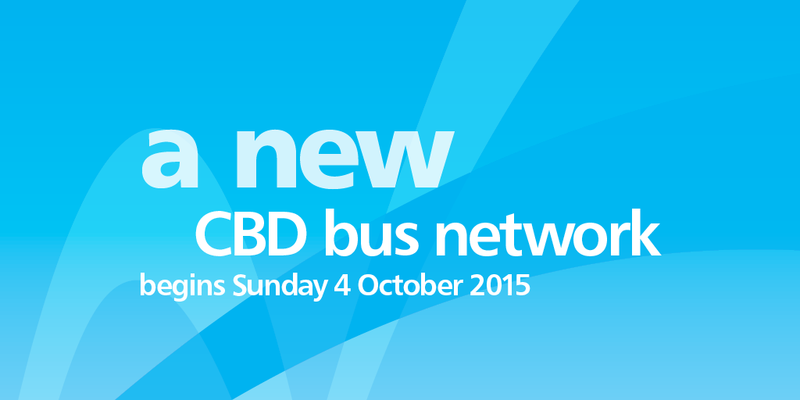 From 4 October, a redesigned bus network will operate in the Sydney CBD. The new network is designed to improve connections and reduce the number of buses in the centre of the CBD. Buses in the city centre will operate predominantly along new priority routes on Elizabeth Street, Castlereagh Street, Park Street, Druitt Street, Clarence Street and York Street. No buses will operate on George St during or after the construction of the CBD & South East Light Rail. 273 / 343 (new 343): Kingsford to Chatswood via Rosebery, City and North Sydney. 378 / 440 (new 440): Rozelle to Bronte via Leichhardt, Railway Square, Paddington and Bondi Junction. 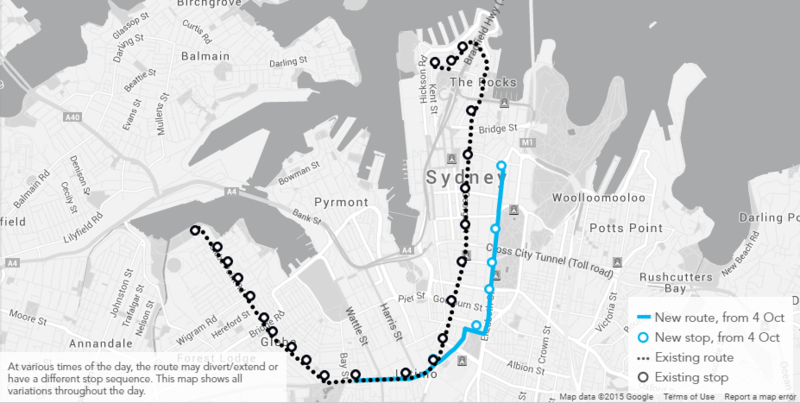 389 /443 (new 389): North Bondi to Pyrmont via Bondi Junction, Paddington, Darlinghurst, St Vincent’s Hospital and City. Some existing services will be extended to serve Walsh Bay and Barangaroo. Other routes will terminate close to their entry point in the CBD, adjacent to other public transport options. This means there will be fewer buses in the core of the CBD, reducing congestion, and may require you to change to a bus, train or ferry service or walk further to reach your destination. The new network will impact most bus routes in the CBD – through a change in route, timetable or route number – so you will need to plan ahead. It may mean that a different route will best meet your needs. New timetable information will be available from September so you can plan your trip well in advance to the bus network changes. I wonder if Quirk et al are reading this? ...making Brisbane look even more backwards! Seems to have been released too early. Maybe they want a polytickal launch or something. I rather admired the ' direct ' approach both to route planning and hard sell. Here it is, no ifs or buts ..
We may have won State of Origin but Sydney is putting Brisbane to shame when it comes to public transport. Sydney CBD’s rapidly-developing western harbourfront will be serviced by buses for the first time, under the new CBD bus network announced today. While the new Sydney bus network will see the vast majority of routes continue to service the CBD, a small number of routes will terminate outside the CBD next to transport interchanges. Sydney Morning Herald --> Will you be a winner or a loser in Sydney's new bus plan? It is against the backdrop of these imperatives that the overhaul of the city's bus networks announced by Transport Minister Andrew Constance must be judged. The bus overhaul and the decision to replace some buses from the eastern suburbs with a light rail line are themselves responses to the spatial constriction of the city. In recent decades, the convenient fudge for governments needing to increase transport services has been to add more buses to existing roads. But in the CBD, at least, this policy has reached its limit – more buses will not fit. This is the central justification for the decision to build the light rail line down George Street, which from October will require George Street buses to be redistributed elsewhere around the city. Wonder if the Lord Mayor is reading this? Can see a lot of pain between the bus changes implementation and when the light rail down George Street actually opens. It is pretty useful transport corridor!